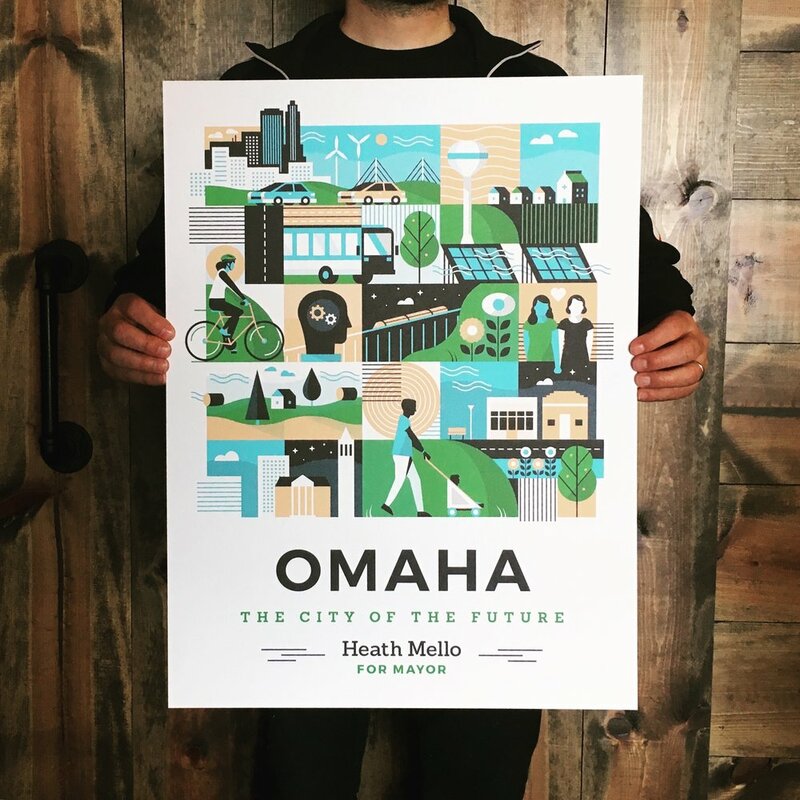 This Nebraska State Senator believes that together we can build a brighter future for the city of Omaha. Our initial meeting took place over coffee in midtown. Summer 2016. 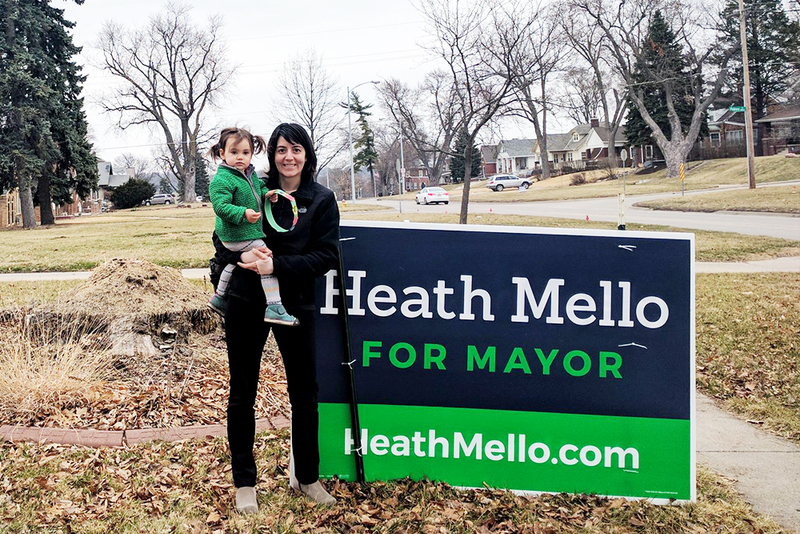 I got to hear first-hand Heath’s vision for a more progressive, inclusive, and equitable Omaha. We share a lot of similar hopes for the city. A city with a lot of good things going for it but with big challenges ahead. 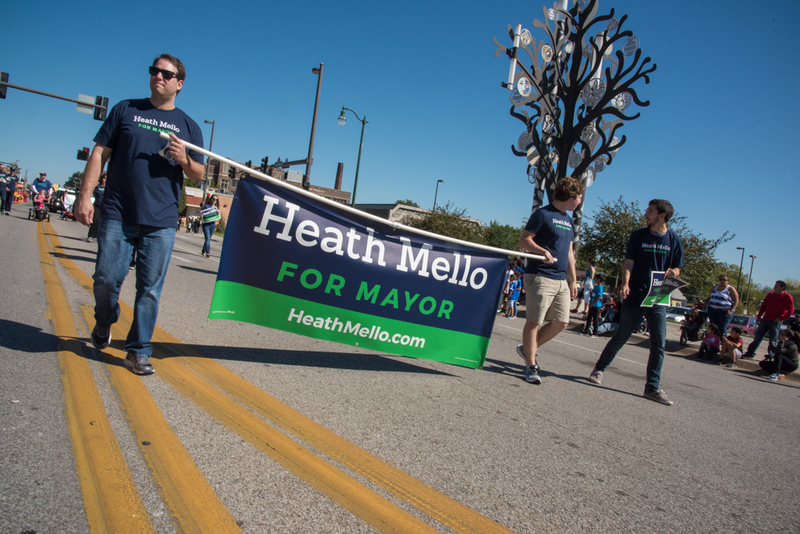 After a successful career in the State Legislature, Heath was turning to the Mayoral race. And he needed a brand to capture his spirit, optimism, and vision. His formal announcement was to correspond with an interview in the Omaha World-Herald in August. We had just over four weeks to get the campaign designed and ready for a perfectly timed launch. 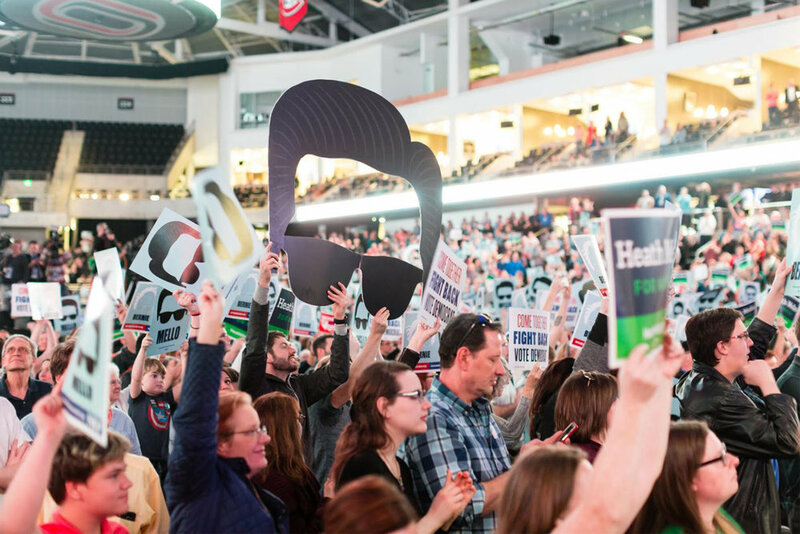 Full brand package, photoshoot, social media graphics, rally signs, and splash page all came together for a launch that was met with much enthusiasm for those of us in the city who are ready for bold vision at the local level. After the launch announcement, we continued to design out stationary, invitations, stickers, banners, and T-shirts. The splash page was doing its job by collecting email addresses and driving donations via Act Blue. More photoshoots (by the great Adam Casey) were done to show Heath in action. And iconography was designed to visualize the major points of the campaign — welcoming, connected, innovative. The campaign formally kicked off on December 6, 2016. Election day in Omaha was May 9, 2017. The results of the election were not what we were hoping for. 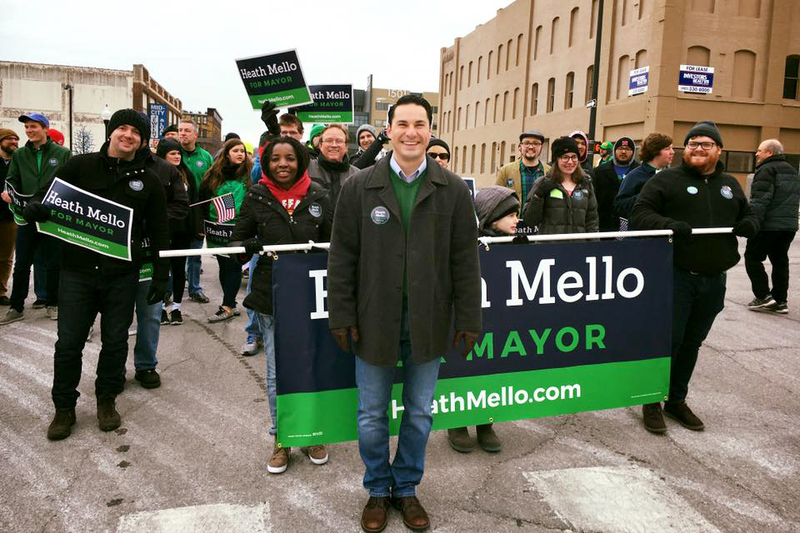 Mayor Jean Stothert won re-election with 53% of the vote to 46% for Heath Mello. Turnout in the election was 34%. Below are the results by precinct from our divided city. In the months leading up to election day, we used design to help get people excited about participating in what was an intense race for the future of the city. This project is Action Backed. 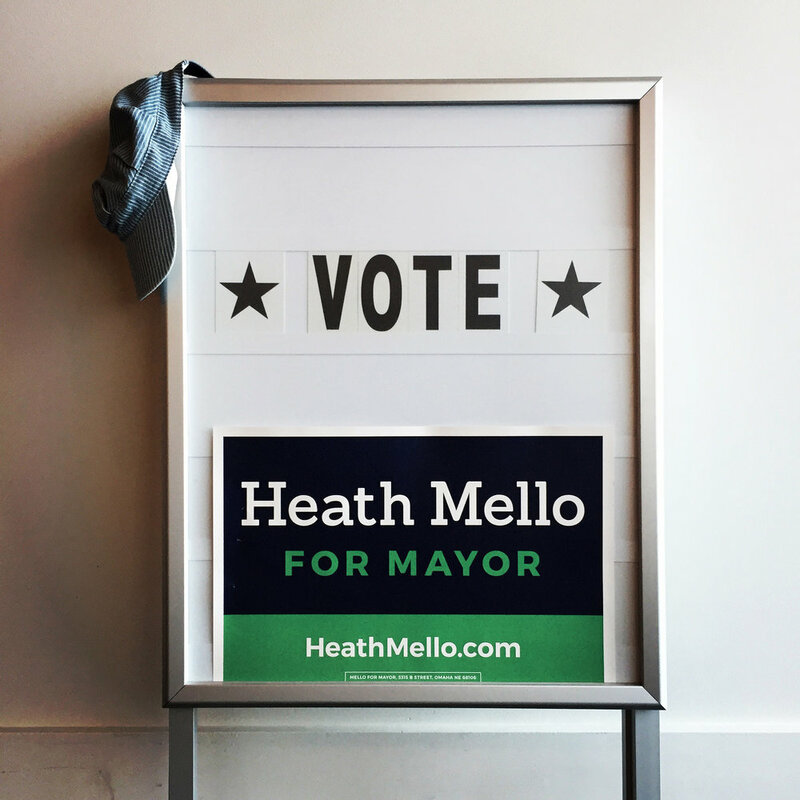 A collaboration with the Mello for Mayor campaign team.